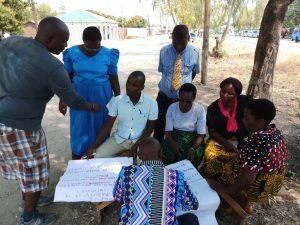 The Diocese of Karonga has robust and rigorous Monitoring, Evaluation and Learning System. This system is managed by the Monitoring and Evaluation Department and facilitates all monitoring, evaluation and learning in the Diocese. Through the department, the Diocese maintains Monitoring, Evaluation & Learning data bases including the Management of Information Systems are well updated to effectively inform project planning and implementation. The system also enables that project managers and field officers timely prepare and submit reports to relevant partners. Currently the Department is headed by Mr Deodatus Muriya who holds a Bachelor’s Degree in Economics. 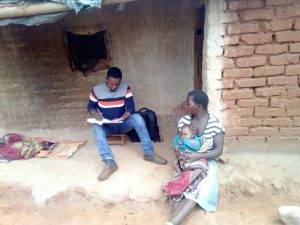 He is assisted by Gracious Chibaka as Monitoring and Evaluation Officer and has a Degree in Economics. The Monitoring and Evaluation Desk serves all the three sections of Pastoral, Caritas and Finance, Investment and Administration. Under the Caritas Commission there are four Desks namely; Health, Education, Sustainable livelihoods (Development) and Justice and Peace. Currently the projects being implemented are as follows; Sunday School Project in Pastoral Commission, Integrated Rural Development Project under Development Desk, Promotion of English Speaking among Children under the Education Desk while under Justice and Peace Desk there are three projects namely; Promotion for the Enjoyment of Women and Children Rights in Chitipa District, Community Managed Women and Girls Rights Advocacy Project in Chitipa District and Promotion of High Quality, Accountable and Responsive Public Health Service Delivery in Karonga and Chitipa districts.